Most, if not all, Asians have a good rice cooker in their kitchen. Now, there are multi-functional rice cookers in the market where you can do more than preparing steamed rice. Below is a recipe you can make on one of them. 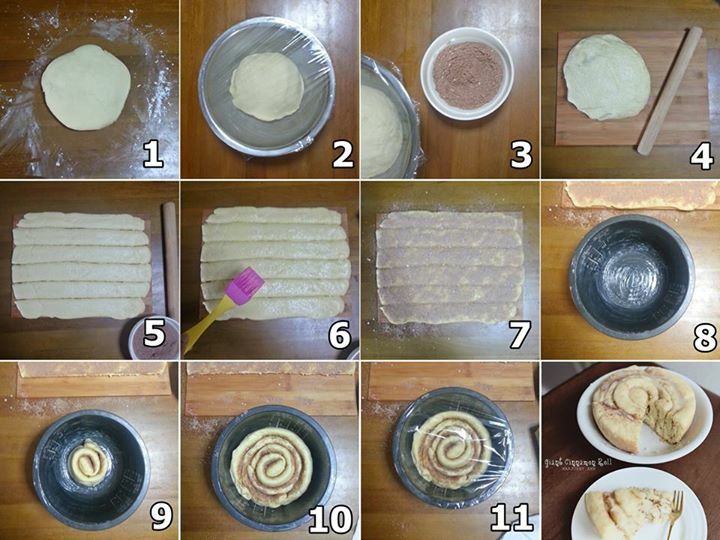 Here’s the step by step process of the Cinnamon Roll I made today. In case some of you might want to try. If you have your own dough recipe, it’s fine, but if you wish to know my recipe for the dough, just feel free to ask. 1. Knead the dough for 3-4 minutes. 2. Slightly grease a bowl and let the kneaded dough rise for 30 minutes. Cover it with cloth or plastic wrap. 3. While waiting, mix granulated sugar and cinnamon powder. Set aside. 4. Roll the dough in a flat surface. 5. Using a knife or pizza cutter, divide the rolled dough in six strips (at least 2 inches wide each). 6. Brush it with butter softened at room temperature (salted/unsalted). 7. Sprinkle cinnamon mixture on top (as many as you like). 8. Grease the cooking pan (I used butter). 9. Roll each strip of cinnamon dough starting at the center. 10. In my case, since our rice cooker pan is small, I used three strips of dough in one pan. If you have a bigger pan, then everyhting must fit. 11. Cover the dough and let it rest for at least 30-60 minutes. Making it rise a little more. So make sure not to compress the dough when putting it in the pan. 12. Cook for 35 minutes. While waiting you can make the glaze (mixing a cup of powdered sugar, a tbsp. of milk and some vanilla extract). When its cooked, let it cool, drizzle some glaze and it’s done. 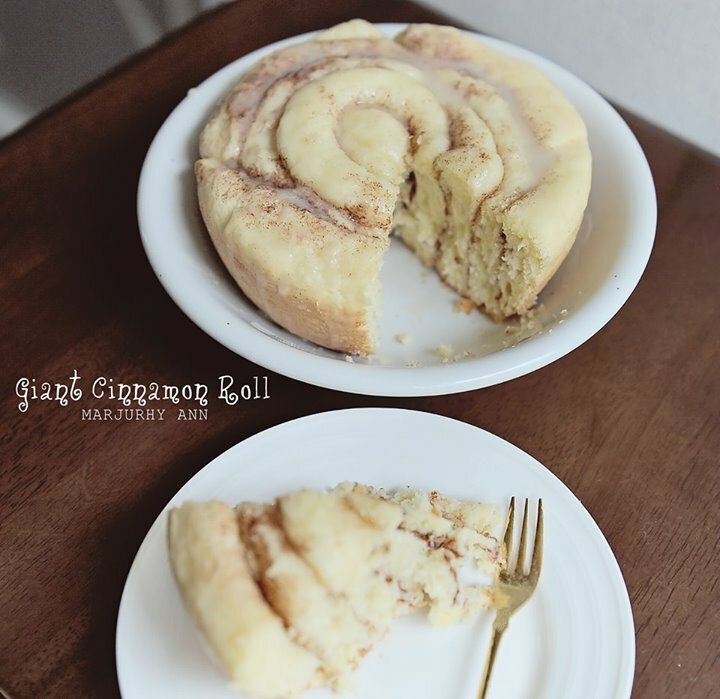 Posted in EpicureTagged Asia, Asian, Asian Food Blog, Cinnamon Roll, cook, epicure, Food Blog, Kitchen, Philippines, rice cooker pan, rice cookers, Super Mom, Sweets, Synopsis of a NomadBookmark the permalink.